The line” The child is the father of man” quoted by william Wordsworth refers to the importance of the child for the development of human race. Childhood is the time to garnar the best physical, intellectual and emotional capacity, to fulfill the duty towards the nation and to one’s own self. However this rule of nature has been crippled by the ever growing menace of child labour. About 250 million children between the age of 5 and 14 work in developing countries. In India A conservative estimate given by the International Labour Organisation is 23.2 million. This includes full time and marginal child workers. 5) failure of social welfare schemes. The root cause lies in the economic in security of families that results from job loss, natural calamities, sickness of parents etc. The children either supplement their poor parents income or are the only wage earners in the family. Discrimination based on gender race all region is also responsible for the problem of child labour. The household sector employs the largest number of child labours. Child labour is deliberately taken by certain employees with the logic that it saves the children from starvation and prevent them from being sucked into the world of crime. The nimble finger theory holds that children are better producer of certain products such as carpets. Child labour( prohibition and regulation) act 1986 was the first instrument for regulation of child labour. This act provides employment of children in certain specified hazardous occupations and regulate the working conditions in others. Article 24 of the Constitution also provides employment of children below the age of 14 in hazardous works. The adoption of the rights to free and compulsory education bill has ushered in a new Ray of hope for The deprived children of India. The problem of child labour must be recognised as a human rights problem both directly and indirectly( example compulsory labour that results in denial of the right to education). The policy makers as well as ordinary citizens must understand that the future of children would not be secure unless their rights are clearly identified, redefined and restored. Hence it becomes all the more necessary for government to take steps to put an end to child labour. Today’s children will constitute the backbone of tomorrow’s society. Hence it is the obligation of every generation to bring up children in a proper way. 🔔 Should we practice the psychological test for SSB interview? 🔔 Is it necessary to speak in English in SSB Interview ? 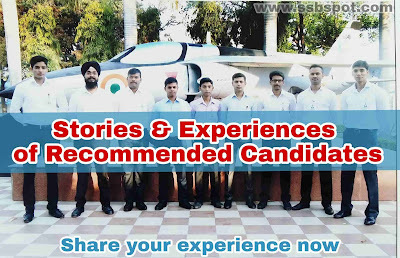 🔔 How to impress Interviewing Officer in SSB Interview ? 🔔 What is GTO looking in the Group Planning Exercise ? 🔔 How to perform in SSB Interview ? 🔔 What does Psychologist want from you in SSB Interview ? 🔔 What are the common reasons of not getting recommended in SSB? 🔔 Why do you want to join Defence forces? Copyright © 2018, SSB Spot. All rights reserved.